Priced below KBB Fair Purchase Price! CARFAX One-Owner. Clean CARFAX. 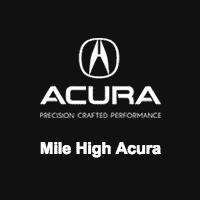 Located in Denver CO, and also serving Aurora, Parker, Highlands Ranch, Castle Rock, Littleton, Lakewood, Englewood, Lone Tree, Boulder, Colorado Springs, Fort Collins, Centennial, and Golden. All prices include Dealer and Handling of $599. AWD vs. 4WD: Which is Best? All-wheel drive and four-wheel drive are often used interchangeably, but they’re quite different. Four-wheel drive uses two differentials and a transfer to deliver power to all four wheels, while all-wheel drive uses a front, rear, and center differential. Four-wheel drive performs better in extreme conditions, but for most drivers in Littleton and Parker, AWD is more sensible choice. It delivers improved traction on all surfaces, as well as better weight distribution and sportier handling than 4WD.